A simple guide for about silver, the different types, and how to identify and care for them. This article is easy and informative guide to learning about silver, the different silver used in jewelry, how to identify them and also care for your silver jewelry. 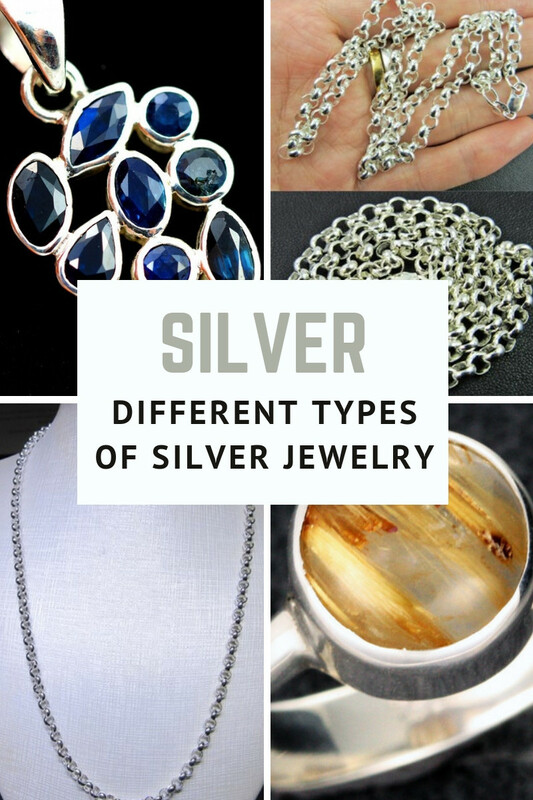 You may think that there is only one type of silver used in jewelry, but there are actually different types used to in the jewelry industry. 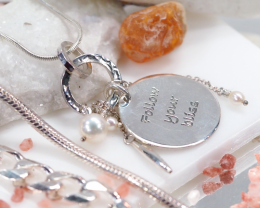 Silver is one of the most affordable precious metal, and when worn it is combined with other types of metals as pure silver can be too soft for jewelry. A hallmark is a certified mark (or a series of marks) that made up of metal that indicates the transparency of metal and the producer’s mark. A 925 Stamped Hallmark signifies 925 portions of gold for every 1000 weight. 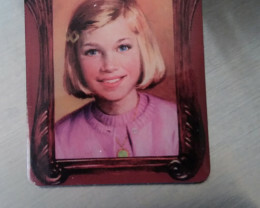 In fact, other hallmarks specify the maker of such a piece and sometimes the minted year. In such countries (as Britain), it is prohibit to hallmark metal erroneously; some countries are disreputably negligent in producing their hallmark. 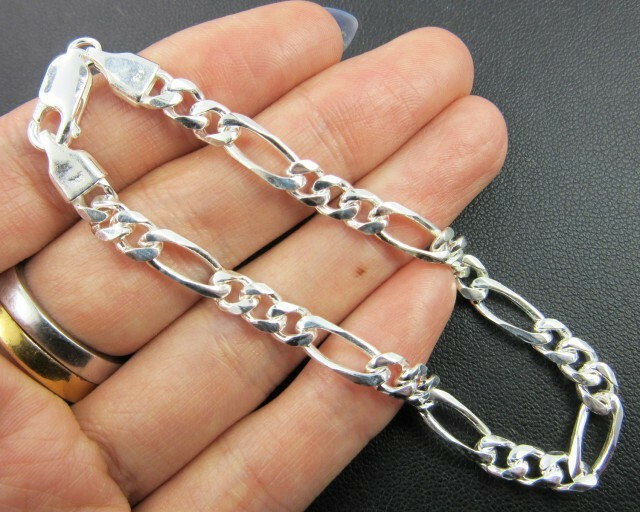 Moreover, 925 Silver jewelry is usually marked for trading once again with the stamp (925). Most of the time, the mark “925” can be found in Europe, which is mostly made from sterling silver. The smallest amount of silver content can also be acknowledged as (925) per piece of pure silver, so anyone might notice the (925) mark silver content. In fact, 7.5 percent of copper is the most ordinary metal used for alloy for sterling silver. Indian silver originally referred to silver made in india from mid 19th centenary and was used more for decorative art works than jewelry, such as bowls, incense holders trays etc. Today Indian Silver referees to silver jewelry made in India that is not stamped hallmark 925. In the west the stamping of silver jewelry as 925 is exact 92.5% silver and in the modern world not all countries do abide by these strict guidelines. Countries that do police hallmarks include Europe and to sell silver jewelry in these countries you need to have exact silver content. Modern countries that manufacture silver jewellery and have good reputation for silver guidelines include Australia, Thailand and Indonesia. Unfortunately most silver jewelry is made in India or China and recent studies have found that 80% of silver has the incorrect stamp. Can you tell on the internet if an item is silver 925 or not? 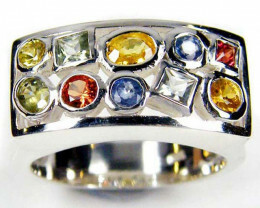 First factories that make quality jewelry will always use top gemstones and the exact silver content. 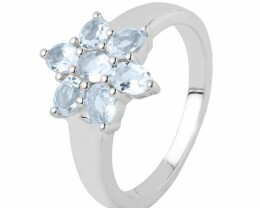 But factories that make inferior silver gemstone jewelry are not as accurate as a top quality jewelry factory. 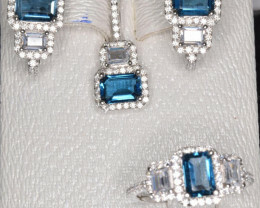 Cheaper online jewelry have been compromised in silver or gemstone treatment. So always be cautious of cheap jewelry and inferior gemstone because it will be highly likely that it’s low quality silver jewelry. Britannia silver is composed of an alloy of silver, surrounding 95.84% silver, and 4% of copper. This standard was presented in England since 1697 to swap sterling silver as the required standard for such items like “wrought plate”. The lion hallmark signifying sterling was substituted with the portrait of a woman commonly referred as Britannia, and the head of the leopard head mark was substituted with a “erased lion’s head “. This standard silver was presented by King William III of British during 1696, when efforts were made to maximize the extracting and dissolving of sterling silver coinage. Sterling silver was permitted again for use by Silversmiths since 1720, and after that Britannia silver has considered as a possible standard for silver and has been designated by the Millesimal (fineness hallmark 958), with the depiction of Britannia being applied optionally. The Royal Mint’s silver bullion is referred as “Britannias” for the coin’s reverse image are issued in Britannian standard silver. Britannia silver should be identified from Britannia metal, a pewter-like alloy, which does not contain any amount of silver. Production of silver jewelry is a comparatively topical expansion among Indians in South America. In fact, the Spanish taught the Indians how to make it centuries ago. The effect over time has been the appearance of a distinctive Mexican approach of silver jewelry mixing the Spanish style for valiant, remarkable effects with the native talent for lively, meaningful decoration. Mexican jewelry often conveys everyone’s mind with an image of profound silver pieces with the combination of the so called “Pseudo-Aztec Motifs”. It is describe as having a set of black or green stones with silver balls or domes for them to have an ancient look. This style was originated since 1920 when Mexicans started making silver jewelry for the high volume of tourists. Moreover, the tourists enthusiastically bought up such jewelry and the designs were inspired by numerous silversmiths who could produce jewelry but were not proficient of designing it. The modern silver jewelry industries in Mexico started in the middle of 1920s and corresponded with a huge support of significance in archaeological research. Museums were displaying these excellent examples of pre-Hispanic lavish art. Most of the time, publishers were bringing out significant new manuscripts discussing such archaeological topics. Since it was taken from the magnificence of ancient Indian styles, which are made up with conventional styles, some of the jewelry designers started to integrate them in their work. Captivatingly, two Americans were the head of this Mexican jewelry production. In fact, Fred Davis missed out his medical school in Chicago since 1910, moved to Mexico, and spent his time in purchasing ornaments and arts from artisans from the different parts of Mexico. He developed his skill with the fashionable arts of Mexico, which finally settled into the industry of silver jewelry. He worked with silversmiths and encouraged them to craft silver jewelry for his shop. He took logically to design jewelry, flatware, silverwork that allocating portions and boxes for himself. As a manager of his shop for historic and exquisite art crafts in Mexico City, Davis influenced numerous Mexican silversmiths through his perfect ideas on his manner and design. However, William Spratling was trained in U.S. as an architect. He was come from the community of Taxco, Mexico during 1929. After two years, William decided to turn his talents in crafting and making jewelry then, set up his own workshop. During 1940, his shop was consisted of 100 silversmiths that produced and designed silver jewelry. The list of workers who learned his craft attracted a lot of tourist to visit his shop. Most of them established their own shops and generate crafts sought by jewelry collectors. Alpaca silver is made up of alloy of Copper, Iron, and Zinc. It has properties such as stainless steel that are even discolored or oxidized. Alpaca products are considered hypoallergenic and made from frivolous material. Alpaca is also called as “nickel-copper plating”. In fact, Alpaca silver is a famous material used in creating jewelry. Alpaca jewelry is easy to care, and it is easier to remove the dirt. Since it was covered with sterling silver, alpaca silver is hard-wearing and stunning thus, considering it as one of that high quality product. South American Jewelry corporations are the leading manufacturer of Alpaca jewelry. Alpaca silvers are used to craft cords and chains to display ornaments or are woven into bracelets or necklaces. Some alpaca silvers are incorporated with alpaca fibers to drape and thread stones and beads, as well. The term “Nickel or German Silver” is confusing since it does not contain any silver, but it has an alloy with (60% of copper), (20% of nickel), and (20% for zinc). It is similar to silver, but it is a yellow-grey tinge in color instead of white color.Most of the time, German silver is used widely in the flatware and hollow-ware. In fact, it is a silver that is tough, corrosion-resistant, elastic, flexible alloy of zinc, nickel, and are used in the tableware and as a structural stuff for restaurant and hospital equipment. Since it is silver, its color depiction does not entail the content of the metal. Tibetan silver is used mostly in jewelry component, and it can be compared with pewter (an alloy of copper and sometimes nickel or tin), with a small amount of pure silver. Its general appearance is considered as “aged silver”, but it can be improvised to present significance. Moreover, Tibetan silver has a rustic look for every piece of it. Tibetan is made individually in a procedure that particularly involves chiseling and hammering. No one will ever doubt for considering Tibetan tribal jewelry as having a simple beauty! It also tends to be available in a bigger size than the ordinary jewelry that has been produce in most of other regions and countries. 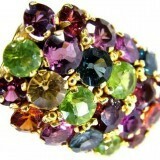 As for the materials used, Tibetan jewelry also uses extensive set of gemstones. 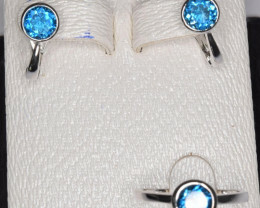 Turquoise is preferred choice for making jewelry. Carnelian, lazuli, jade copal, garnet, sapphires, amber, coral, rubies, agates, lapis amethyst, and are also popular. Yak bone is also a famous material for making jewelry. Plating is the universal name for surface-covering methods in which a metal is placed into a surface. Plating is essential as an oxidization inhibitor for the production of electronic devices such as mobile phones and computers. It said to be useful due to its repair ability, stiffness, wearability, resistance loss, paint adhesion, shielding, and conductivity. It is a unique process that provides silver jewelry a more vivacious, deeper look and makes become visible, more affluent and glossy. In short, a Rhodium plated finished product looks so excellent that most of the times it caused several people to commit an error by simply classifying Rhodium plated silver over the white gold. Moreover, it is a main technology for the expansion of new machines. It is also used for beautification of jewelry, and it is usually use to present a silver or gold peripheral. Rhodium plating is rarely used on silver, white gold, copper and its alloys. A wall layer of nickel is typically deposited on the silver initially, though it does not avoid resettlement of silver through rhodium. In order to prevent infectivity of the rhodium with copper and silver, which somewhat melt in the sulfuric acid, typically present in the bath composition. During the time rhodium plating will carry away, this will base on the value of the plating itself. If it is defectively plated within 6 months, indications of wear will emerge. However, once it was accurately plated it will surely last at least three years. 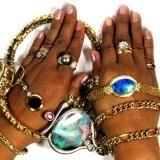 Rhodium plating inspired most of the stylist to make your silver jewelry to appear even better than it actual does. This is the main reason why some silver jewelry has become exceptionally popular and due to its affordable cost, many people are choosing to buy pure silver jewelry. It just makes more logical than ever! It is not surprise that Rhodium essentially comes from the Platinum family of valuable metals and happens to be one of the unusual components on earth. It is described as unbreakable, robust and cut resistant. These are obviously traits which make Rhodium as an idyllic for plating particularly for the designer of silver jewelry and silver gemstone jewelry. Rhodium plating on silver jewelry has become the latest thing and well accepted. It is also considered as the most sensible process that it is used to shield silver jewelry from ruining. With the process of Rhodium plating, your silver designer enthused jewelry polish even brighter and often seems to turn into Platinum or white gold in color. Additionally, silver jewelry with Rhodium plating is often referred as “Platinum silver jewelry”. In fact, your silver jewelry will remain brighter. When treated accurately, Rhodium plated jewelry will never depreciate and will sparkle and shimmer all the time. However, some top fashion stylists and silver jewelry stores such as Tiffany’s store have formed incredibly, and famous selling jewelry formed on Rhodium plated silver jewelry. Of course, do not be surprised to find Dior and Gucci are also based on Rhodium plated silver jewelry. So, customers and visitors out there, if you are probing for eye-catching silver jewelry but don’t want to spend a lot of money, so Rhodium plated silver jewelry could be your reasonable ticket to pleasure, the high approach, stylish inspired way. They say “Life is too short”, so why not grab all the impressive feelings immediately! Silver jewelry is a well-accepted choice for a lot of buyers due to it’s reasonably price when match up with gold. Silver can also simply be bought by a designer and be used to make one of kind designs. While silver jewelry is economical cost and easier to acquire than gold, it discolors easily, and its attractiveness promptly fades. This can be prevented by cleaning the jewelry on a standard basis, but this becomes more complicated when it surrounds with gems. The basic steps below are the perfect way to handle this problem. At first, polish the jewelry with the use of cotton cloth. In this way, any taint will be rubbed off. This is a better method than rinse because rinse can take the risk of removing off the shine from the gems. 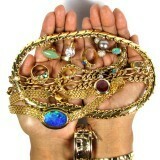 In case that the jewelry is still tainted, you will have no other option but to rinse it. Purchase a silver dip. It must detail that it is only for silver and not for gold. You can also purchase chemical cloth that will rub and make your silver dirt free. 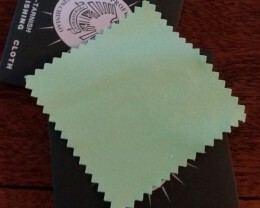 These chemical cloths may be the best option, since you can rub only the silver and not tap the gems, as well. Set the jewelry in the bathe. Let the jewelry lay for few seconds. The chemicals might work quickly, so if the jewelry is stayed in the dip too extensive, it makes the jewelry dull. Wash the jewelry with a basin of water, and then dry. Use a cotton cloth to rub the jewelry. Once again, rinse the piece of the jewelry with the use of the solution, then take the jewelry right away and clean with water. Then, rub once again with the use of cotton cloth.